Over 25 tons of beef has been recalled from plants run by King Meat Services Inc. of Vernon, CA. This is after employees of the company were found removing the inspection marks placed on products by the original beef suppliers, and replacing them with their own King Meat inspection marks. The recall notice can be found here. 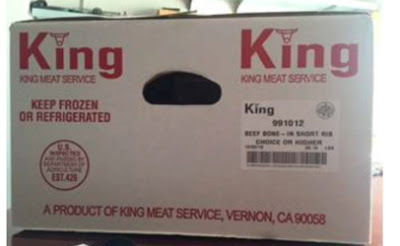 The beef concerned had been packed by King Meat from November 1st to December 5th and then shipped on to distributors, food service operators and retailers in California. The notice did not specify which companies these were.